Over two generations of farmers have grown and harvested the best native and international fruits and vegetables, creating some incredible tastes that stir memories and conversation around our customers’ tables, together with the most important factor: health. Our international clients and partners know what we can do at this is why we have been continuously working together for so long. 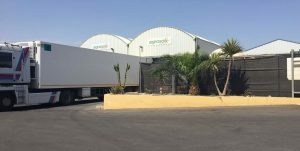 Their need for quality and year-round production led us to implement innovative technology (tube heating) that also allows us to compete thanks to the benefits of a microclimate and the exceptional earth of Almería. Offering products with a fresh, natural taste and without additives or pesticides has been Agrosol’s priority right from the beginning. We also address the needs of our partners and distributors by providing them with produce all year round. At Agrosol Export we took the decision to invest in innovation and transform our facilities to provide quality throughout the year, creating thousands of hectares with cutting-edge technology (tube heating). We love the earth, and we have got to know it and learnt how to work with it over the years to arrive at the level of excellence that we have always promised, growing special produce for people that know how to appreciate it. By combining two lifelong passions at Agrosol Export, agriculture and expansion, we can say that although we have put a lot of care into quality and production, we have not forgotten the purpose of our work: to deliver products on time (logistics), in good shape (packaging), and with responsible planning for all seasons year after year. The majority of countries in Europe buy fruit or vegetable products from Almería at some point in the year. 61% of production from this province is exported (of which 99.8% is destined for European markets), and the rest is marketed in Spain. The decision to export depends on a number of factors: economic, geographic and cultural factors, country of origin, type of product, the company, its capacity and corporate culture, legal framework and exportation destination, amongst other factors. Three of the main countries that fruit and vegetable products from Almería are exported to are the Netherlands (13.55%), France (13.5%) and the UK (11.4%). Almería exports 322,600 tonnes of fruit and vegetable produce, representing 9.2% of the total from Spain. With the aim of getting our produce to the shelves on time and at optimum ripeness, we plan our seasons and logistics so that we can offer you the best product at the right time. We carry out such comprehensive tracking of our produce that at any time we can work out which plant each of our products has come from, from which harvest, the way it was farmed, which special conditions it was in whilst it ripened, and even the lorry, destination and any possible incidents occurring. This allows us to know the exact state of all our produce throughout the production chain and assures us of the quality of the delivered product, as well as allowing us to respond immediately to our clients. We want to change the way people live through our products. We know the importance of our clients and partners achieving this and we priotitise them throughout the process. To achieve this, we rely on partners such as: Glinwell PLC, Total Produce PLC, Fortuna Frutos UK Ltd., Valley Grown Salads, Bakkavor.